Cycling Santorini: Ride up the mountain of Ancient Thira - Santorini !!! An early morning ride up the mountain from Kamari to Ancient Thera to watch the sun rise – it was awesome! The early morning conditions were perfect, no wind, cool, peaceful with no one else around. The ride up to the top was challenging at a constant steady pace. 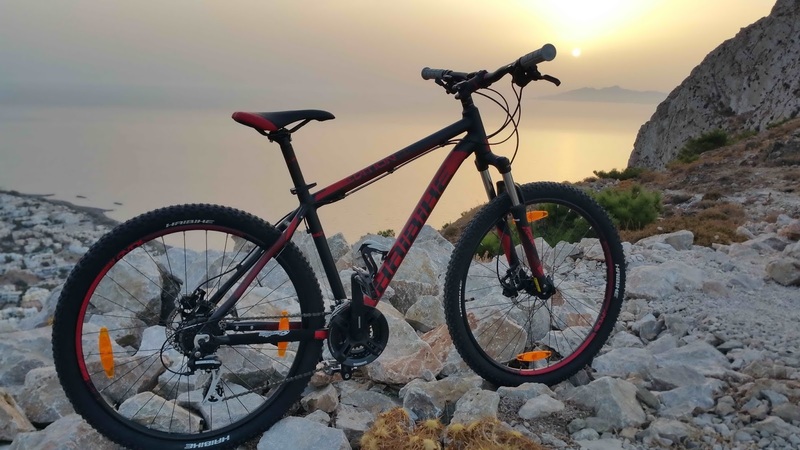 The ride was very pleasant and it was worth it to get to the top and see the sun rise over the island of Anafi. A great sense of achievement to ride to the top. 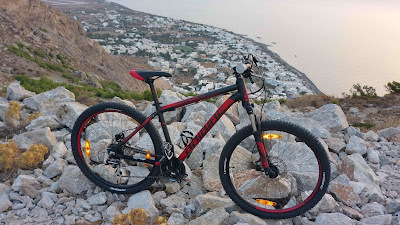 This has now become my regular and favourite ride on Santorini. The ride back down is a bit tricky as the cobblestones vibrate through your entire body as ride over them. Good front suspension is recommended for the ride back down. Overall, a great ride and one of my favourites.